Available in PDF format or traditional print variety, this rule book includes everything you need to play the game--minus the miniatures themselves, of course! 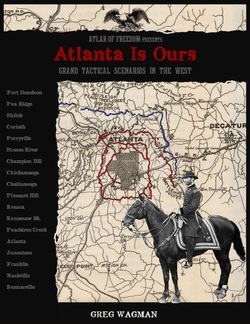 In addition to the core rules, you will find optional rules, four historical scenarios, and plenty of Civil War period flavor. For a more detailed overview of the rule system, click "Product Info." 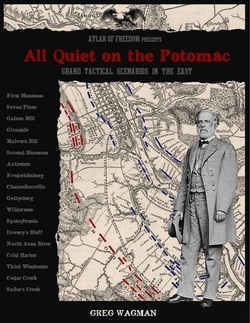 "All Quiet on the Potomac"
PDF includes 18 scenarios, covering every major battle in the East. 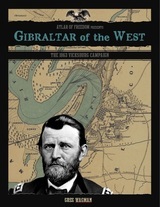 PDF includes 18 scenarios, covering every major battle in the West. PDF includes rules, map, and cards needed to play the Vicksburg campaign. PDF includes rules, map, and cards needed to play the Gettysburg campaign.